In my book about central banking, I report on a minor mystery involving the current chairman of the Federal Reserve, ketchup and the Bank of Japan. I now think it is solved. Flashback a decade. In the early 2000s, American officials and economists were perpetually arguing that the Japanese government, and particularly the Bank of Japan, needed to act more aggressively to combat deflation in the country. Ben Bernanke, then a Fed governor, was one of them. The story that has circulated for years among Bank of Japan officials and repeated in a book by economist Richard Koo is this: In Bernanke’s May 2003 visit, he made the point that a central bank should always be able to create higher inflation. If buying financial assets to pump money into the economy wasn’t enough, it could just buy anything–even tomato ketchup–and accomplish the same result of increasing the supply of money in the economy and the price level. It is an amusing illustrative example. But here’s the problem: Bernanke doesn’t remember saying it and is quite doubtful that he did. When writing the Japan chapter ofmy book, I wasn’t sure whether the issue was Bernanke had a faulty memory or the Bank of Japan rumor mill had gotten the story wrong. I heard the story myself from a couple of former BOJ staff while reporting in Tokyo, though neither claimed to have heard Bernanke make the comments first-hand. In the book, I presented the question of whether Bernanke said the ketchup line, or something similar, as something of an unknowable open question. There may now be an answer. I heard from Tony Fratto, who was a Treasury Department official at the time. He recalls a visit to the Bank of Japan with John Taylor, the Stanford economist who then was the Treasury undersecretary for international affairs. It seems to have been in October 2002, based on press clips. And Fratto remembers Taylor as having made the tomato ketchup comment. Oh, and it wasn’t just a discussion of ketchup in general. Taylor, in Fratto’s recollection, mentioned a very particular variety of ketchup. It seems quite likely that this is what happened: Taylor made the amusing ketchup comment. In the retelling, it was attributed to the other highly regarded American macroeconomist-turned-U.S. government official who visited at around the same time. Here’s another irony. We’re more than 10 years removed from Taylor and Bernanke making their visits to try to encourage more activist monetary policy from the Japanese. And in the last few months, the new government of Shinzo Abe and the new leader of the Bank of Japan, Haruhiko Kuroda, have finally undertaken the more aggressive approach that the Americans were advocating then, pledging to do whatever it takes to get Japanese inflation up to 2 percent. So far, they seem to be making progress, using newly printed money to buy unlimited sums of bonds. 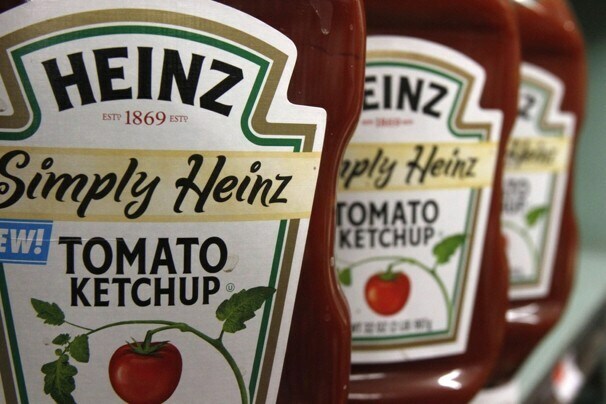 Still, as far as anyone knows, the bank will not be using any of its trillions of newly printed yen to buy packets of tomato ketchup, Heinz or otherwise.